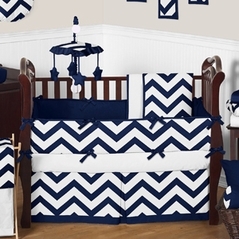 Don�t get stuck thinking your baby boy bedding has to follow the traditional rules of decorating. 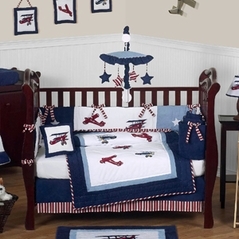 Nowadays, you have full license to follow your own instincts when you decorate your baby boys nursery room. 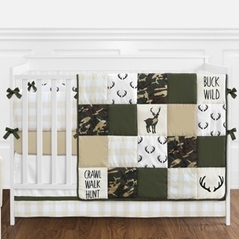 You can still find adorable boy crib bedding that follows traditional colors and themes like blue, sports, fire trucks, and the ever popular camo bedding. 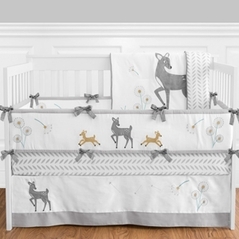 But for parents that want a modern twist, we also have tons of adorable boys crib bedding to suit any taste. 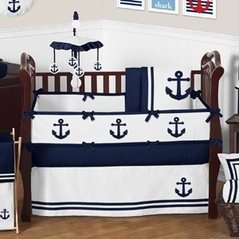 Beyond Bedding carries an incredible selection of various baby boy bedding sets that range from trendy to traditional: Casey's Cabin bedding, Playball Sports bedding, Come Sail Away nautical bedding, Chenille Stars and Moon bedding, and Soho Blue bedding are just a few of our most popular designs. 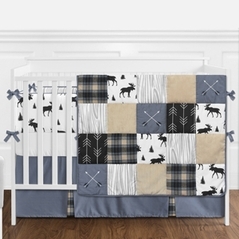 The options are so diverse for baby boy bedding these days, anyone is sure to find the perfect set for their little guy. 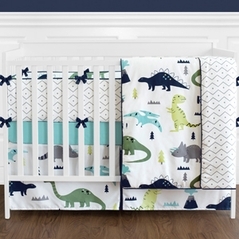 And once you�ve fallen in love with a set, be sure to browse through our kids accessories that will go perfectly with your boys nursery bedding. 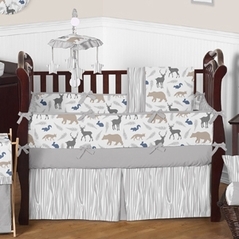 And take a minute to look at our beautiful girls baby bedding while you visit our site. 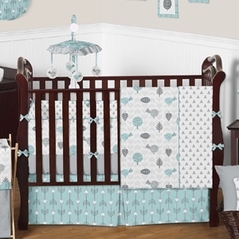 Preparing to welcome a new baby boy into your family? 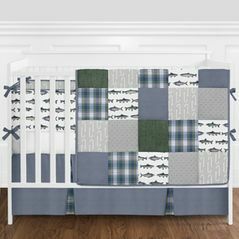 As you get ready for your new addition, one of the most daunting tasks for any new parent is choosing the right baby boy nursery bedding. 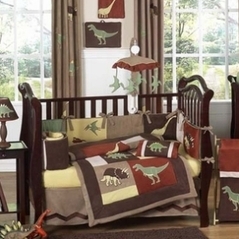 At Beyond Bedding, we firmly believe that decorating should be a fun endeavor for parents, not stressful! 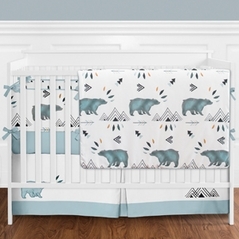 We know that expectant parents already face a myriad of decisions at every turn, so this guide should help to streamline the process by illustrating some of what you can expect as you make your bedding decision. 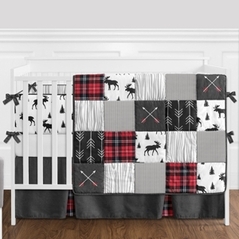 The whole decor for a nursery can be based on what you choose for your boys crib bedding, so it is a perfect jumping off point in the decorating process. 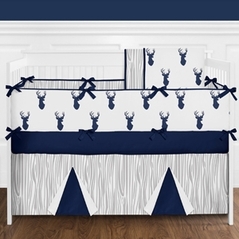 Whether you envision a nautical theme full of pirates and sailboats or perhaps a sports theme for your future all-star, Beyond Bedding has the advantage of carrying matching accessories for virtually every set we carry. 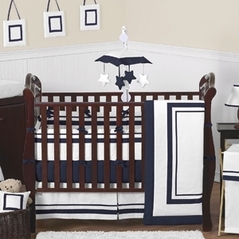 Let us help you address some of the most important elements to consider when choosing your baby boy crib bedding and show you how shopping at Beyond-Bedding will make the process as easy as possible. 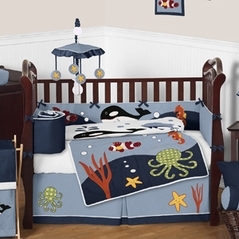 Because there are so many options out there, finding the perfect crib bedding for boys can be difficult. We get this, and fortunately, this array of options also means that the old rules no longer apply. 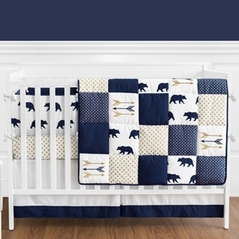 Your nursery decor no longer has to be restricted to boring blue: here at Beyond Bedding you will find baby boy bedding collections to impress even the most discerning of tastes. 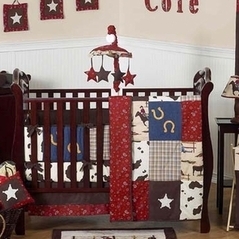 The important thing to remember is that your baby�s nursery will soon become the place where you spend the majority of time bonding with your baby boy, so it's important that you choose a theme that you can see yourself and your baby boy surrounded by during the months to come. From football browns, to frog and bug green, we have designs that range from classic to modern, so you will have no problem finding a set to fit in perfectly with your home. 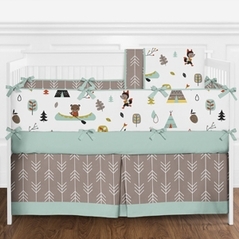 Our unique baby boy bedding themes are evidenced in our set names such as �Frankie�s Fire Truck�� and �Casey�s Cabin.�� These adorable sets will be a comforting source of warmth but will also become a center piece of your child�s imagination. 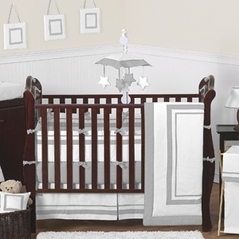 Your baby boy is about to be the most important person in your life, so you definitely don�t want to skimp on quality. 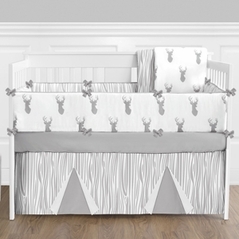 All of our baby boys bedding sets are carefully chosen so that we can offer our customers only the highest quality fabrics and detailing. 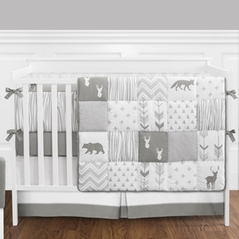 You and your baby can sleep easy knowing that all of the sets you�ll find here are backed by the same guarantee of quality and workmanship that you would expect from a leader in nursery bedding. From the details in stitching to the beautifully designed appliques, you will be impressed by our commitment to serving you quality products at a value. 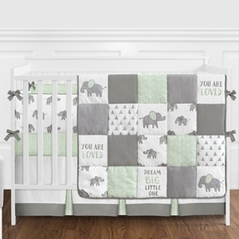 You definitely don't want to forget about comfort, any expectant parent knows that keeping your baby comfortable goes a long way toward peaceful nights of rest. 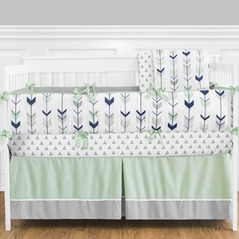 You can relax knowing that all of our sets are made from non-allergenic fabrics to avoid irritating baby's sensitive skin. 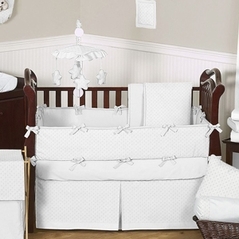 Speaking of comfort, do you feel comfortable sending your baby bedding out to be dry cleaned? Probably not! 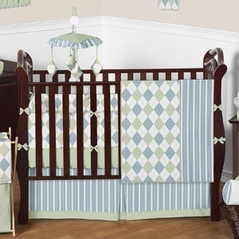 When purchasing baby boy bedding sets it is important to remember the care needed to maintain your bedding, especially with all the accidents that can occur with a baby boy. 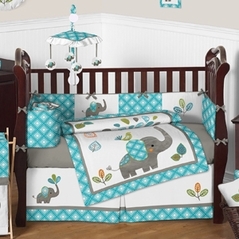 Beyond Bedding offers sets that are machine washable for ease and repeated use. 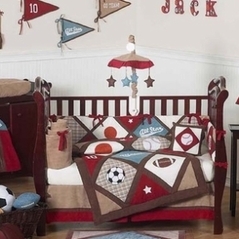 We understand that between all the costs of preparing and caring for your beautiful boy that no parent needs the hassle of a dry cleaning bill for your boys baby bedding. 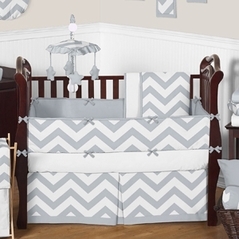 Beyond Bedding keeps the needs of both baby and parent in mind. 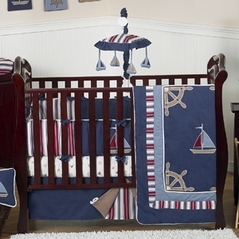 All of our baby boy bedding sets are created from the finest materials to ensure long lasting comfort and durability. 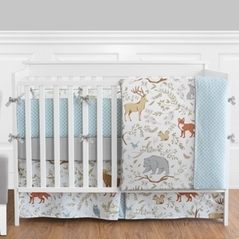 Beyond Bedding also offers matching room decor and accessories for our entire assortment of baby boy bedding collections from our camo crib bedding sets all the way up to our animal safari sets! 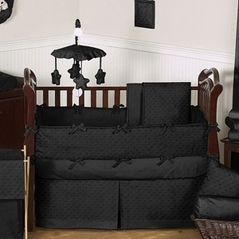 Beyond Bedding wants to eliminate the hassle of decorating by offering matching accessories in one location. 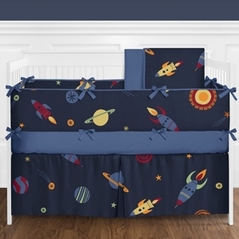 This coupled with the fact that many of our baby boy bedding themes can also be found in our toddler sets means that your child�s favorite designs can stay with them as he becomes a toddler and beyond! 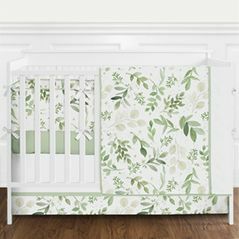 This helps to make redecorating your child�s room a breeze as many of the matching accessories are not specific to crib, toddler, or teen. Or if you want to change things up, you know we are a brand you can trust with tons of great options. 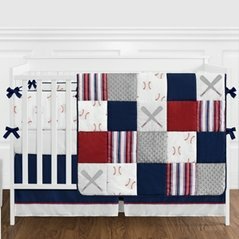 Beyond Bedding is ready to grow with your child, and assist you with all your bedding needs as your baby boy grows into a little man. 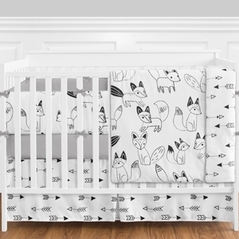 There are many great options available when it comes to nursery bedding, and we know you'll want to make the right decision when you are choosing your baby�s bedding. 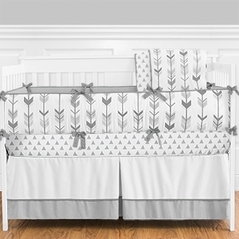 The most import element to consider is making sure that you choose a bedding set that looks great and that you'll enjoy seeing every day. 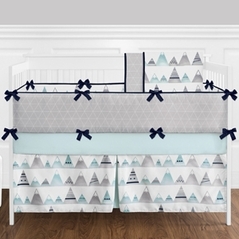 Beyond Bedding offers baby bedding themes that are both classic and fun, but keep comfort and quality at the forefront of our philosophy. 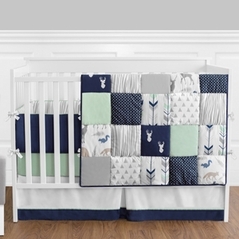 Baby bedding should be playful and peaceful; you can be sure that our non-allergenic and machine washable baby boy bedding will be comforting to both mom and baby. 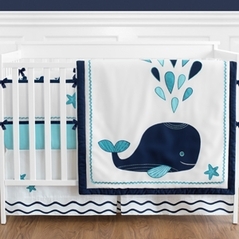 And as your boy begins to grow, Beyond Bedding is prepared to supply you with all of your redecorating needs, whether you decide to keep your theme in a toddler bedding set or go with a new decorating scheme. 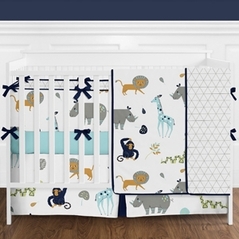 Once you begin browsing through our extensive collection of designer motifs, you will realize there is so much you can do with your baby boys nursery room that you�ll wonder how you ever thought you could shop anywhere other than at Beyond Bedding.